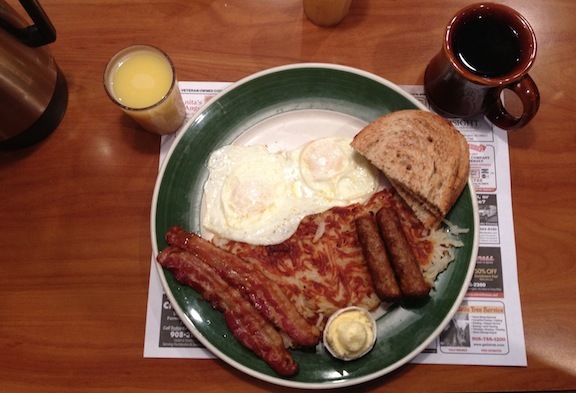 email: $ 2.99 Breakfast Special! This is too true….. funny!! We went to breakfast at a restaurant where the ‘seniors’ special’ was two eggs, bacon, hash browns and toast for $2.99. ‘Then, I’ll have to charge you three dollars and forty-nine cents because you’re ordering a la carte,’ the waitress warned her. ‘Raw and in the shell,’ my wife replied. She took the two eggs home and baked a cake. WE’VE been around the block more than once! Send this to the Seniors in your life. I’m sure they’ll appreciate it!! Even non-seniors will appreciate it!!!! !